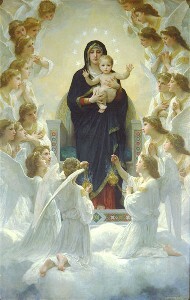 Hail, Holy Queen, Mother of mercy, hail, our life, our sweetness, and our hope! To you do we cry, poor banished children of Eve! To you do we send up our sighs, Mourning, and weeping in this vale of tears!Turn then, most gracious advocate, your eyes of mercy toward us; and after this, our exile, show unto us the blessed fruit of your womb, Jesus! O clement, O loving, O sweet Virgin Mary! 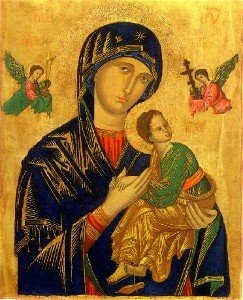 Finished prayer to the Blessed Mother Prayers, Bring me Back to the Prayer list Please.